On the northwestern edge of the Balkan Peninsula in southeastern Europe, bordering Slovenia, Serbia, Bosnia and Herzegovina, Montenegro, and the Adriatic Sea. Soft white beaches and rugged limestone cliffs fringe Croatia’s 3,900 miles of coastline, which wraps along the west coast and around the country’s 1,244 islands, islets, rocks, and reefs. Rising from the aqua blue waters of the Adriatic Sea, the Dinaric Alps meander along the mainland, topping out on a 6,017-foot peak, Dinara. Hiking, climbing, deep-water free soloing, kayaking, horseback riding, mountain biking, sailing, SCUBA diving, rafting, kiteboarding, and windsurfing will satisfy everyone from easy-going adventurers to hard chargers. The Elaphiti Islands are an archipelago of 13 islands with idyllic beaches, hidden coves, craggy cliffs, and quaint villages. Frequent ferry services connect Dubrovnik to the three inhabited islands: Šipan, Lopud, and Koločep. Nearby Mljet Island with its national park is another good stop. By far the best way to explore this area is by boat. 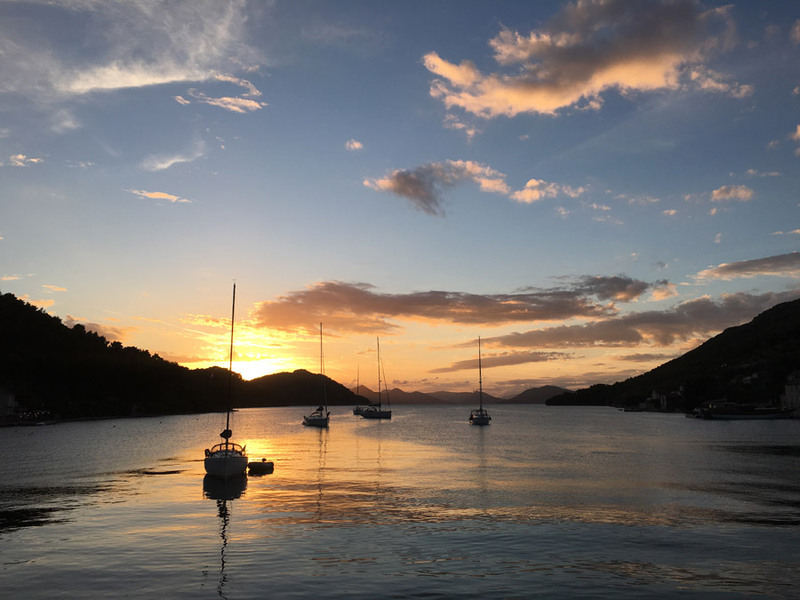 From Dubrovnik you can hop on a catamaran for several days of sailing combined with hiking, biking, sea kayaking, and paddle boarding. Or join an all-day kayaking tour. Huck Finn Adventure Travel can help you out. For trekking, pick a piece of the Via Dinarica, a 1,200-mile route that crosses through seven countries from Slovenia to Albania. Croatia’s section meanders through limestone karst landscape and traces the spine of the Dinaric Alps, with hotels and huts along the way. 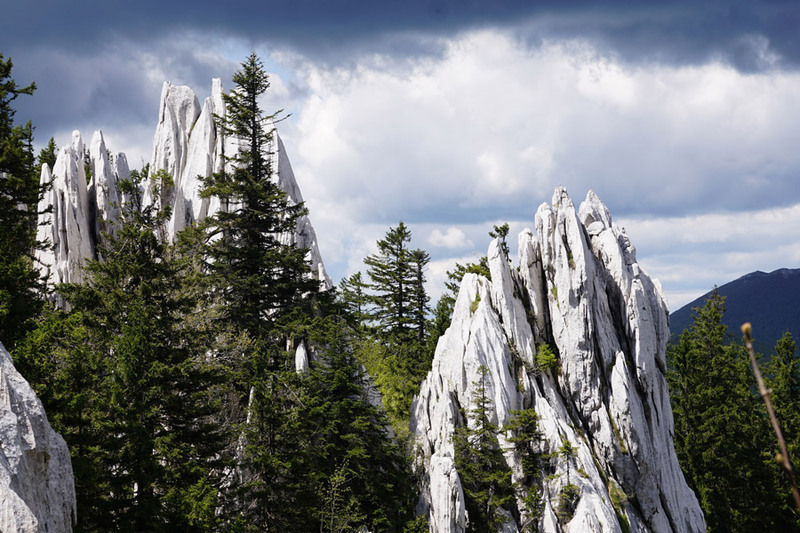 Vihoraški put is an especially scenic stretch near Ogulin that’s part hike part scramble among towering white rocks. 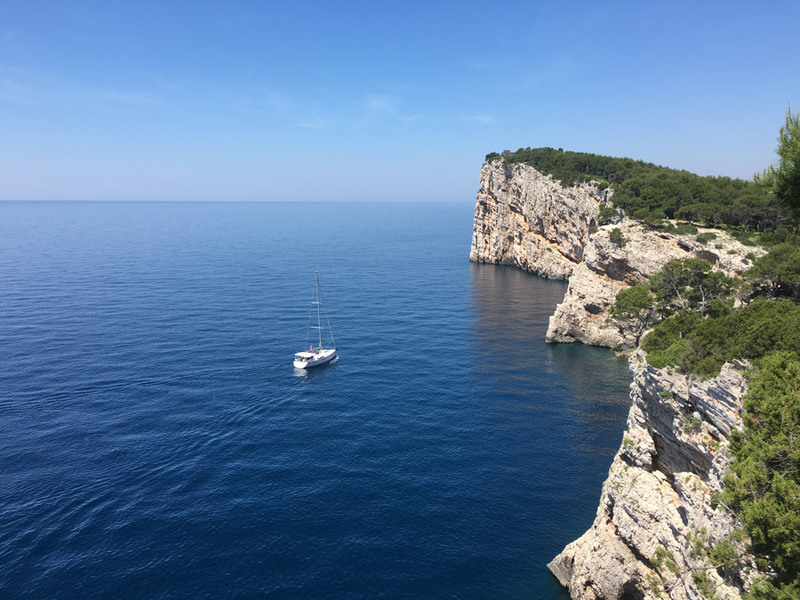 Wind junkies flock to Bol on the island of Brač, where steady breezes funnel through the channel between there and neighboring Hvar from June through August. The peak of summer can be crowded, though, especially in the small launch spot. Neretva—on the mainland between Dubrovnik and Split—is arguably a more awesome spot, where kiteboarders can rip across the relatively uncrowded waters near the mouth of the Neretva River. Take the ferry from Zadar to Dugi Otok to explore Telašćica Nature Park, with limestone cliffs that tower more than 500 feet over the sea. Amble past the saltwater Lake Mir and continue along the coastline until you reach Lojišće Beach, a tiny cove where you can cool off with a refreshing dip. July and August are very hot and you can expect packed hotels, cities, and beaches, not to mention long waits for ferries and restaurants. Better to visit during shoulder season—May, June, and September—when temperatures are still pleasant, and you don’t have to jockey for space. No Croatia travel would be complete without a stop in Dubrovnik, a charming walled city that seems straight from a fairytale. 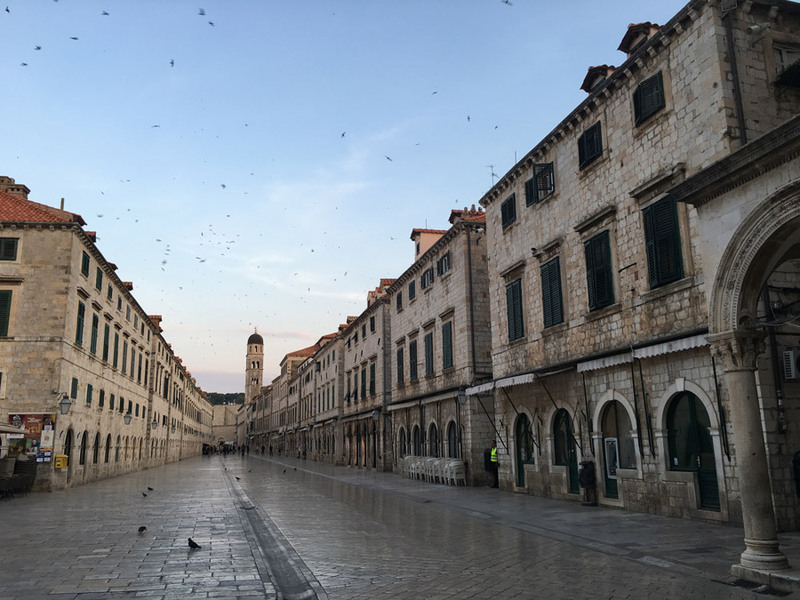 Game of Thrones fans will go gaga over its resemblance to King’s Landing; the city is, in fact, featured in several of the hit show’s locations. Take a walking tour or wander through the narrow alleys on your own. And don’t miss circling the city atop its fortified walls. Stroll the streets in the walled city of Zadar, absorbing its Venetian influence, then head to the Sea Organ for sunset. Holes perforate this set of stone steps, emitting whistling sounds with the waves. Stay until dark to watch the lightshow from the adjacent Sun Salutation, a glass disc installation by the same artist. 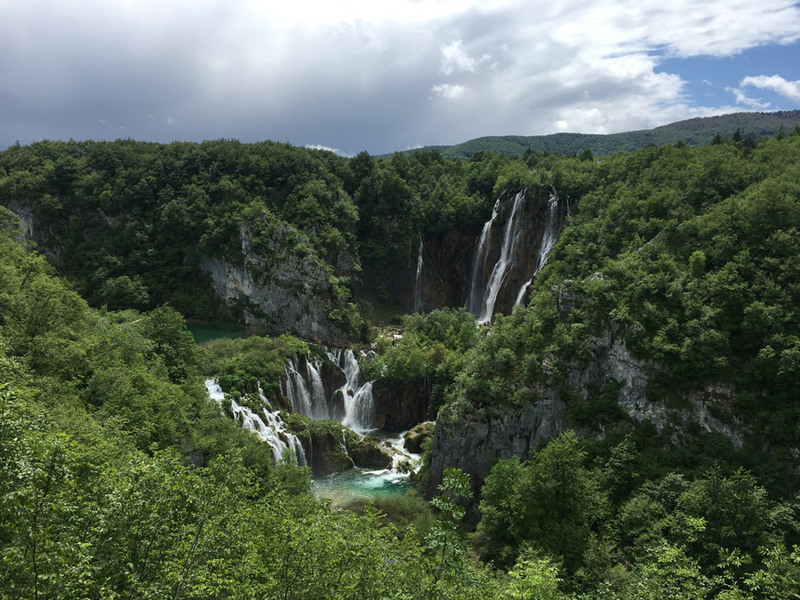 Plitvice Lakes National Park, two hours from Zadar, has earned UNESCO World Heritage status for its gluttonous collection of waterfalls connecting 16 lakes. Get there early to beat the crowds. Climbers have no shortage of options on Croatia’s limestone walls. East of Zadar, Paklenica National Park is the heart, with hundreds of bolted and trad routes that are among the best in Europe. Croatia’s Split is where deep water free soloing gained traction in the country. The bustling city center—inside the Roman ruin of Diocletian’s Palace—is also worth checking out. Lodging options range from five-star opulence to basic hostels or camping. Hotels tend to be costly. For the best value, sniff out private apartments, marked with distinctive blue signs. Booking ahead is key during peak times. You can find listings on Airbnb, booking.com, and the Croatian National Tourist Board website. Croatian cuisine reflects diverse threads of influence interwoven over the years. Italian and Mediterranean food follows the coast, with an emphasis on seafood. Behind almost every restaurant is an open barbecue, where chefs cook fresh fish or meat under a metal bell (peka). In the mountains you’ll find food infused with Austrian, Hungarian, and Turkish themes, including hearty stews and meats. The crossroads of Eastern and Western Europe, Croatia has a foot in both worlds. Here you can absorb intriguing culture while exploring some of the best outdoor recreation and most beautiful landscapes on Earth. The Croatian National Tourist Board website offers a deep dive into how to spend your time, with loads of information organized by activity, region or theme. If you’re looking for a pre-arranged tour with a custom touch, talk to the friendly folks at Natural Croatia. Avery Stonich is a freelance writer based in Boulder, Colorado, who has traveled to more than 50 countries in search of adventure. Visit her website at averystonich.com and follow her on Twitter and Instagram.